Rogue Trooper Redux is a remaster of Rogue Trooper (a 2006, third-person shooter based on the 2000AD comic book series of the same name). The series focuses around Rogue – a genetically created, toxin-immune, manufactured soldier (or ‘GI’) – as he becomes the last surviving member of his race during a war between the Norts and the Southers (the people responsible for creating his kind). As Rogue, you must play through 13 missions with the aim of finding the Traitor General and seeking vengeance in what is essentially a one man against the world type affair (sort of). The game opens with a massacre of your race - thanks to the work of this traitor - which sees three of your closest GI buddies get wiped out. Thanks to some pretty cool (or creepy) technology, though, you are able to take the biochips from each of your fallen comrades and install them into your rifle, pack, and helmet – keeping them alive allows a constant flow of banter, tips, and some pretty nice game mechanics. With your friends beside you once again it is time to take on the world. Levels consist of reaching checkpoints and completing sub-missions; Norts (your enemies) are everywhere and will never hesitate in trying to kill you - every time you want to progress you need to be on the look-out for potential threats. You can either go all guns blazing and try to kill enemies with sheer fire power, try to sneak up on them from behind - killing them silently and therefore adopting a stealth-like approach - or you can try to use your sniper to take out as many baddies as you can before moving forward. You also have a variety of grenades (and guns for that matter) that can achieve different tactics such as blowing things to smithereens, setting things on fire, or using electrical corruption to temporarily disable enemies for a short time. 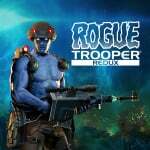 You might be thinking that Rogue Trooper seems just like any other third-person shooter – and in many ways it is – but the most enjoyable aspect of the game comes from something slightly different: how your comrades can be used in battle and the way in which you keep on top of supplies. As you play through each level you’ll find salvage, something that one of your comrades can use to craft upgrades or replenish your ammo and health supplies. Salvage can sometimes be found on the ground or, alternatively, you can always get some from fallen enemies – a quick press of the ‘Y’ button will pick it up and add it to your collection. During your missions you have access to a menu which allows you to use this salvage however you wish – as long as you have sufficient funds. This means that you can always play with your chosen play-style in mind and it works a treat. For example, if you’re the stealthy type, you can collect the odd bit of salvage to spend on sniper ammo and keep your distance; if you want to blindly shoot anything that moves, however, you’ll be able to get lots of salvage from the corpses on the ground. This second method would result in a need to spend your earnings on medi-paks to restore health. Thanks to this supply method, you will never be forced to use a particular weapon or style that you don’t like just because all of the ammo lying around happens to suit a certain gun. Another useful comrade ability is the option to set your rifle down as a sentry, allowing you to hide behind cover and let multiple enemies be destroyed whilst your gun does all the work for you. Yet another ability allows you to send out a hologram of your body, causing the AI to focus on that instead of you and start shooting away, not realising it’s a fake. This gives you a great chance to take out enemies that have you surrounded or can provide some assistance when you have snipers watching you from above. In some missions (particularly the earlier ones), you don’t really need to do any of this - running around and just blasting things works absolutely fine. There’s a satisfaction in the process, though; executing perfect kills or using all of your tricks to pull off a really successful diversion feels great. On top of the single player campaign you can also play two different modes – ‘Stronghold’ or ‘Progression’. These can be played alone in single player or online in either a public lobby or with your friends (unlike some recent games, you have the option to play with those on your friends list). Stronghold sees you defending your position for a set time against waves of oncoming Norts, whilst Progression sees you having to fight your way to a safe zone. Things work a bit differently here to the campaign, though; instead of using salvage to restore your supplies or using your comrades for help, you’ll need to pick up supplies from the ground as you would in most shooters. The modes can be fun (if you’re playing with friends at least) but without the upgrades and abilities from the main campaign it feels like the online portion of the game has lost the best thing about the experience. Considering the game is now eleven years old it has aged really well; playing through the missions in the story is still great fun. 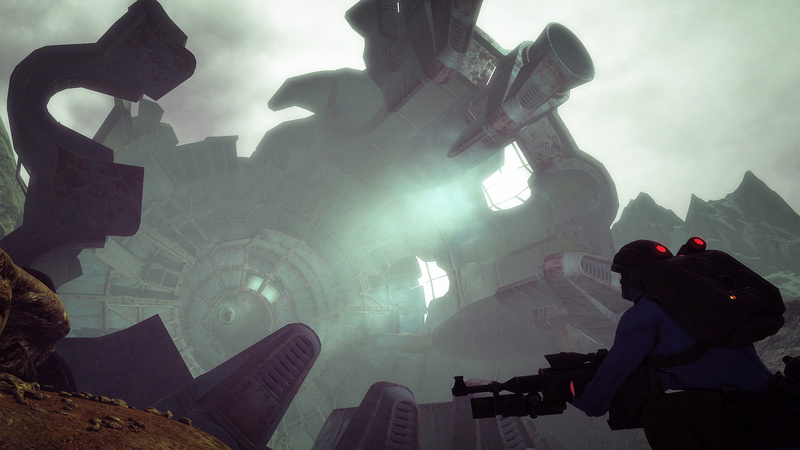 The remastered visuals go a long way in helping it seem modern, too – characters, weapons, and vehicles have all be completely re-modelled and everything has been given a HD lick of paint; it isn’t ever shockingly beautiful but there are times (such as the cut-scenes) where things look suitably impressive. 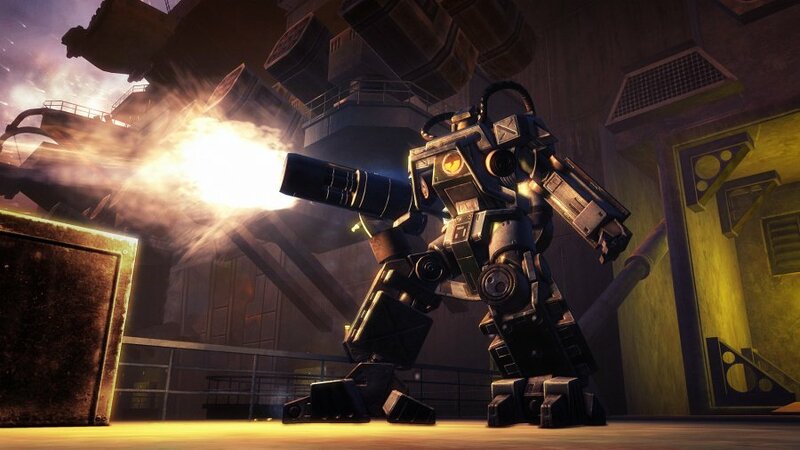 It isn’t perfect on the whole – it doesn’t quite stand up to the juggernauts of the genre available today and some of the enemy voice-acting is particularly questionable – but it is very successful nonetheless and is faithful to both the original game and the comic series from which it was originally born. 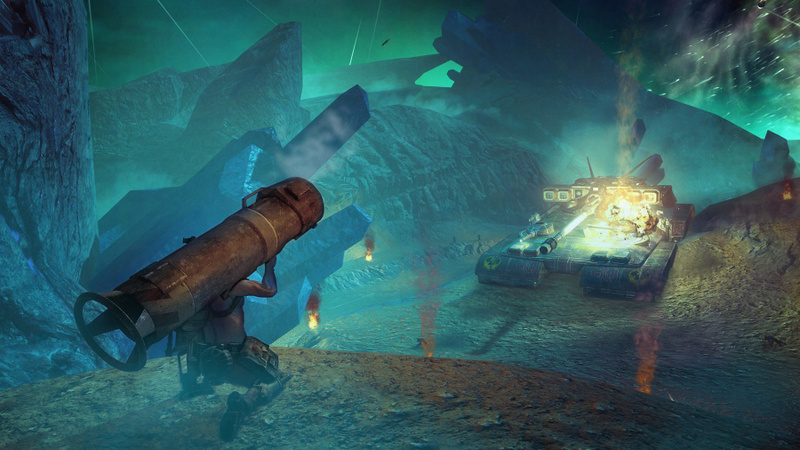 Rogue Trooper Redux boasts an enjoyable campaign with a wonderful supply maintenance system in place. The ability to spend your earnings on whatever you please rather than relying on what is handed to you sets this title apart from the more “standard” games in the genre. The online multiplayer modes aren’t as fun as they could be, though, and the main game’s relatively short length (anywhere from 5-10 hours depending on your play-style) means that it strays just short of being a truly amazing experience. Despite this, it is still definitely worth your time - whether you’ve played the game before or not. If you enjoy your shooters, give this one a go. Bought this on Wii and haven't played it yet, it's on my huge backlog. I'll get the Switch version too for portability. Loved the Rogue Trooper comics when I was a kid. Just downloaded it on my Switch ready to go. Loved this game in his original state, will surely give this a go later today. When can we download this from the eshop. Wont let me yet. Still, this would plug a genre hole for me, although, Doom is gong to take priority. I'll stick with the motion-controlled Wii version, thanks. But this should do well, as there's a hole in the eshop for a budget-priced shooter. Come on - when are we going to get some more motion controlled games? @cfgk24 Surely at 2PM... maybe? @Micky491 @Shiryu "Don't Knock Twice" was available on the dot at midnight! Btw, I'm normally asleep by 2pm. Why no Army Men love? Sarge's Heroes was decent. I'll wait for a sale. This is great for building the Switch's genre variety. I can't think of many/any 3D Third Person Shooters on Switch although there could be? Have we got many non-zelda 3D Action/Adventure games in general? We certainly need them. I think I'll check this one out, as I'm a single player campaign guy and don't much care about the multiplayer. I played this on switch at an event and really didn't like the clunky controls. 7 seems too high for me..
@dew12333 Yeah, but it's being advertised on the site, so allowances have to be made. As far as third-person shooters on Switch go, I’m waiting for Morphies Law. Disappointing that it didn't turn out better. Meh. If they are not an ad sponsor, the game will get a 5/10. I don't know. Much like you said, this seems like just another 3rd person shooter. Not bad, but nothing enough to pull me away from other titles. If we were in more of a drought of games, I would look more seriously at this. But right now there are too many other games popping up drawing me in that pull my interest much more. The head line image looks like a buff toad. @dystome Great link! Enjoyed that. I think 7/10 was always the high bar for a game like Rogue Trooper - which doesn't mean it won't be fun for anyone who loves shooters. I'll think about it, but hope it does good business. I have to give props for that Abba reference! Haha. It gave me a good laugh this morning. I always look forward to the puns and play on words from Nintendo Life. I've really been looking forward to this one. Looks like a nice warm up shooter before DOOM. Played on Wii, great game then, will be fun to replay on my switch with button controls. Looking forward to getting this when i get some money, always meant to pick up the Wii version but never did, nice to finally have some shooters on the Switch, what with this and Doom on the way, been way too long since we had some decent ones on a Nintendo console. Even Wii version had pointer controls! I still got this on Wii and play it more than Call of Duty. @JSG87 Downloading as we speak Thank you. @Micky491 Let us know how it is? @KIRO he was my favourite too. There is gyroscope motion controle on the game or not ?? Hey Rebellion...GIEF PHYSICAL COPY YA CHEAP SKATES! Any word on co-op? Local that is? I'll be waiting on a sale for this one. Is there co-op play? If it's fun in 2-player I might be more inclined to pick it up. Oh, I hope the do a Judge Dredd Vs Judge Death redux next! I didnt know this it had online ... my interest for this went up a notch. 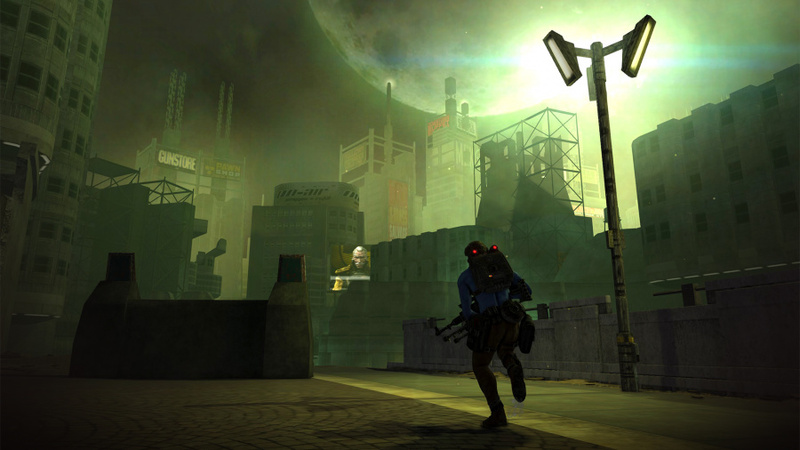 There is no local co-op, online supports up to 4 players. I hope someone would make a local co-op shooter; the Switch would be perfect local multiplayer console, as every one could have their own screen. Guys for everyone asking there is no motion controls but it does have something similar to aim assistance at least. This game is very good although I think it will take me longer to complete than the 5-10 hours that a lot of reviewers have said it will take to complete lol. Seeing as Nintendo Life gave the Wii version an 8, this version should at least also be worth an 8, unless points were taken for not changing anything other than prettying up the graphics. Anyway, the Wii version was quite entertaining, if a little short, but it has some replay value, so I'm pretty sure that the same will go for this version. I'm going to get it. Saving up for it. @GrailUK It would be better than nothing. I'd love a new Dredd game. @Freek The recent Rogue Trooper one-shot strip in 2000 AD Prog 2050 was excellent. not sure if i should get this – seems to be pretty mediocre. The original was a lot of fun on Wii, but that was in part because they nailed the motion aiming... Without that, I think I'd rather just go back to my Wii version. A shame, would have been an instant purchase otherwise. I'll be picking this up for sure. This is one of many games on Wii I skipped because of the less than ideal Wii remote/nunchuk control scheme and lack of classic controller support. So glad those days are over. No local multiplayer = no buy. Honestly though, Switch would be perfect for a Goldeneye esque multiplayer shooter. It's practically begging for it. Never heard of it, but I'm definitely interested now.